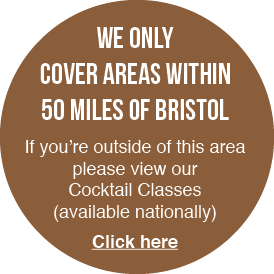 We only cover areas within 50km of Bristol. For cocktail classes (available nationally), please click here. Using a postcode is the most accurate way for us to quote you correctly. Why not add a Cocktail Shaker Gift Set? Have you booked with Jam Inns before? If unsure you can add this at a later date, however it is very useful information to have at this stage in order to provide an accurate quote. 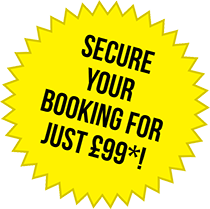 Please note for bookings 6 weeks in advance & longer we only require a £99 deposit to book. The final balance would then be due 4 weeks prior to the booking. For bookings within 6 weeks we would require the full amount to confirm the booking. Please note you MUST follow the quote through to check availability for us to be able to confirm the time slot requested. Thank you for your enquiry. One of the Jam Inns team will contact you back shortly to confirm our availability for this time slot on the date requested. While you wait for your confirmation, why not like us on Facebook? *Please note this offer applies to bookings more than 6 weeks away. For bookings sooner than this the full balance will payable.